New faces, old hopefuls and more. Off-season madness has finally ended. It was a wild few weeks: talent shuffling to and fro, rumours and denials, press releases, and of course lots and lots of hype. Now, with the LCS starting back up on January 20th, it’s time to take a good, long look at all of the assembled rosters. There are a lot of familiar names amid the changes, a few rookies, and a number of imports. Before you sit down to watch the games, I’ve prepared a quick primer on each NA LCS roster. Meet the teams that will define the 2017 Spring Split before they head onto the Rift. Some teams went through less change than others. Let’s go over the more familiar candidates first before we dive into the crazy changes. Team SoloMid, the reigning champions, lost their star ADC Doublelift. He may be back for summer, depending on how the retired life treats him—he’s been deliberately vague on his long term plans. However, they have an old familiar face in their ADC slot. WildTurtle is returning as their ADC after leaving Immortals. WildTurtle has a long history with TSM. He joined the team back in the Baylife days, replacing Chaox, and stayed for years before getting axed. 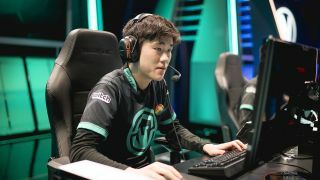 He regained his fire on Immortals, and it’ll be interesting to see how he meshes with TSM... especially rookie support Biofrost. The team competed at IEM Oakland with Turtle before signing him, but the NA LCS will be an entirely different ballgame. Meanwhile, Cloud9 (who were the most successful of any NA team at Worlds, making it to the Quarterfinals), have brought in promising young talent Contractz on their starting lineup. Contractz has been under the C9 banner for some time now, competing on their Challenger team, but this will be his first crack at the LCS. Ray, formerly of Dignitas, will be a sub laner under Impact. Finally, Counter Logic Gaming have made no changes. They’re sticking with their roster, preferring to keep synergy over risking new changes. This raises questions, especially around inconsistent mid laner Huhi and top laner Darshan. The NA LCS has no shortage of talent in 2017, so we’ll see if CLG’s teamwork gamble will pay off. Immortals has an intriguing mix of old and new. Pobelter remains from last year, and Flame is a veteran and legend of the LCK. Dardoch, a young talent who had ups and downs on Liquid due to personality clashes with the team, combines well with Flame to provide pressure. Olleh and Cody Sun in the bot lane remain a potential weak point, although they’re both very coachable. This roster has a good deal of potential, but it’ll take time to make a full judgement. Team Liquid had a tumultuous 2016, culminating in the controversial documentary Breaking Point. The team has retained young talent Lourlo and Matt, and picked up two North American talents in Goldenglue and Link for the mid lane. Most impressively, they’ve managed to hold onto one-time World Champion Piglet. Add in Reignover, who impressed on Immortals and Fnatic, and Liquid may have finally found their winning combination. EnVyUs made it to playoffs in their rookie split, just barely pulling ahead of Apex. They retain Seraph, Ninja, and Hahuko, adding in Alex Ich to augment the mid lane and LirA to replace Proxin in the jungle. The true test of EnVyUs will be whether they’ve solved the coaching issues that plagued the second half of their split. Echo Fox’s desperate race to avoid relegation ended up winning them a truckload of new fans. Hopefully, they don’t have to repeat such a struggle this split. They hold onto their two main damage threats in Froggen and Keith, and pick up RNG’s Looper as well. Akaadian and Gate are both upgrades over their predecessors—at least, in theory—even if they’re not as glamorous a pickup as Looper. Some are pessimistic about their prospects in spring, but if Rick Fox keeps showing up for every game, they shouldn’t lose any fans over it. Phoenix1 were the underdogs who went 0-9 at the start of their first split, and then turned everything around. They toppled the undefeated TSM, rose from the ashes, and escaped relegations. Now, with a new mid laner and bot lane, they hope to top their previous results. Fans will be glad that jungler Inori remains on the roster. There are two new teams—well, kind of—to welcome to the LCS. Let’s greet them, shall we? Apex merges with Team Dignitas with a whole lot of money behind it. The Philadelphia 76ers have invested in the brand, while maintaining the talent behind Dignitas and Apex. The roster definitely looks stacked on paper, with ADC LOD being a potential weak point. Dignitas sure have evolved from their days of being home to Imaqtpie. Cloud9 Challenger have graduated from the Challenger circuit, and have picked a... unique name and brand. These are all familiar names and faces, with the core of old C9 being rounded out by Altec and Moon. Most of the promise on this roster comes from Hai’s supernatural ability to general a team out of relegations. This may prove to be his greatest challenge yet. Now that you’ve been familiarized with all the rosters, you should be ready to start declaring your allegiances and preparing to cheer once the LCS begins.